Are you curious about how to be a more thoughtful leader? Need a little inspiration to get you through the winter blues? Bored with your current desktop background? We’ve got the solution for YOU! 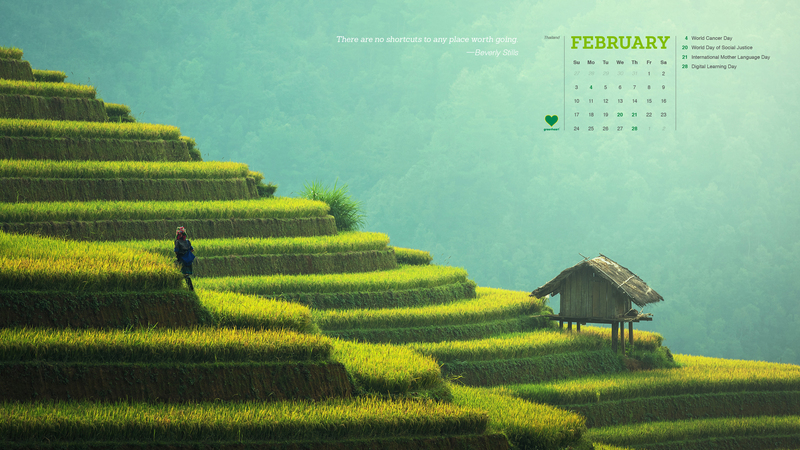 Introducing our new FREE Greenheart desktop calendar! 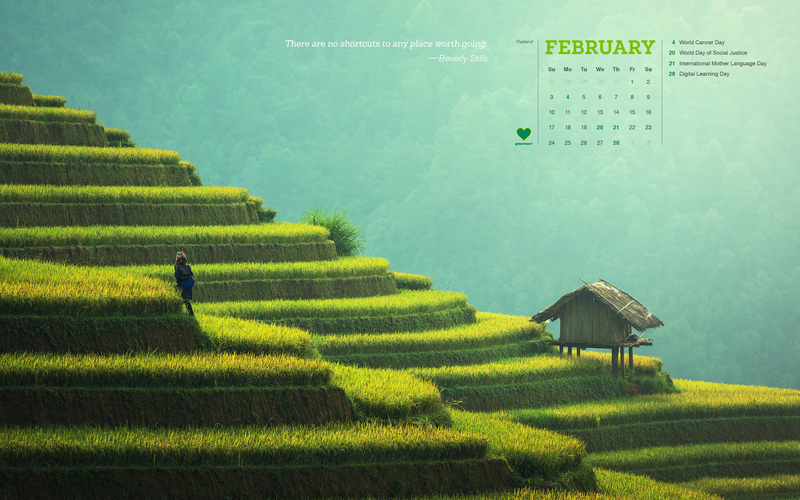 Each month, we’ll share a new calendar featuring a beautiful location from around the world AND highlight important dates you need to know as a global leader. Pretty cool, right?! Check out our February edition below with instructions on how to download. 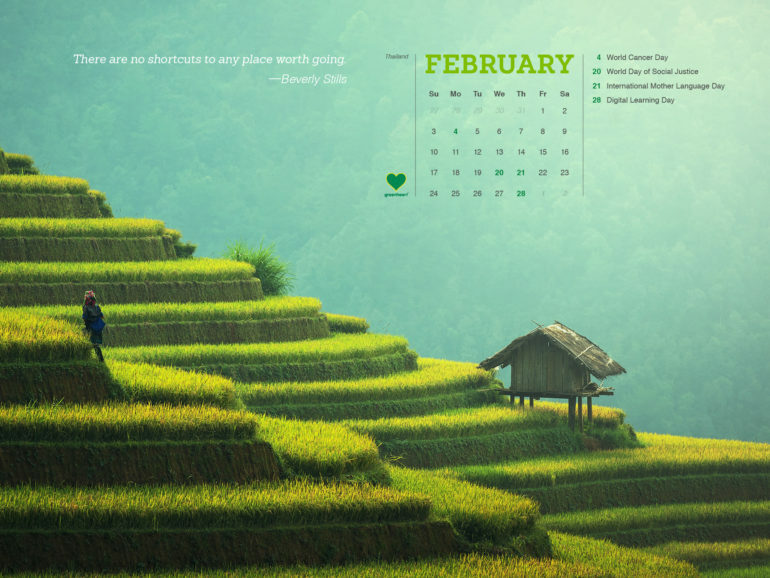 Also, be sure to follow our blog for a new calendar each month! Enjoy!